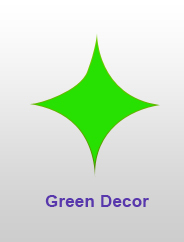 Find terrific special event and party Decor in every shade of green at ShopWildThings. 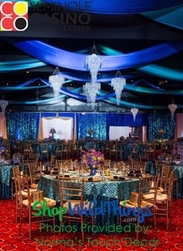 From teal and turquoise to lime green Decor, we have hundreds of green gala and set Decorations. 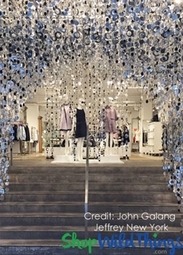 Shop sparkling beaded curtains, elegant ribbons, pretty garlands and glamorous lighting fixtures. Browse our collection of easy-to-hang ultra-metallic green and mint iridescent beaded curtains already assembled on the rod. With two nails and two minutes, you can have a stunning new room divider, door entrance or special event backdrop. 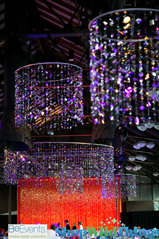 Choose beaded curtains with acrylic beads cut to sparkle like diamonds or emeralds. 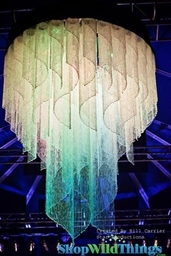 Create a festive effect with our bendable floating confetti curtains and columns. Our painted flower and dragonfly bamboo door curtain was featured on the hit TV show "Rizzoli ; Isles." Shop our green glitter tape, fabrics, dyed ostrich feathers and tabletop Decor . Celebrate summer or a party at the beach with parasols, paper lanterns, polka dot treat bags and paper straws in lime green, aqua or turquoise. Flower Ball - Silk Rose - Pomander Kissing Ball 6" - Apple Green - BUY MORE, SAVE MORE! COMING SOON! Flower Ball - Silk Rose - Pomander Kissing Ball 6" - Aqua - BUY MORE, SAVE MORE! Flower Ball - Silk Rose - Pomander Kissing Ball 8.5" - Apple Green - BUY MORE, SAVE MORE! CLEARANCE - Organza Sheer ShinyTable Toppers - 13 Colors! Acrylic Rhinestone Stickers-Apple Green - Strips with 260 Pcs! SALE ! 4 Glasses in Green Metal Wire Basket - Great for Floral Display! Artificial Echeveria Hookeri Succulent - 7"
Artificial Echeveria Green Prince Succulent - 6"
Artificial Echeveria Succulent Agavoides - 6" Red Tips - BUY MORE, SAVE MORE! Artificial Kalanchoe Variegata 7" - BUY MORE, SAVE MORE! Succulents in Pots - 6 Assorted Faux Plants - 3" x 6-7"
Assorted Greenery & White Flowers Wall Mat - 24" x 17"
COMING SOON! Artificial Greenery Littleleaf Boxwood Wall Mat - 24" x 16"
COMING SOON! Artificial Leaves Mixed Foliage Greenery Wall Mat - 24" x 16"
Assorted Forest Foliage Landscape Wall Mat - 17" x 25"
Variegated Common Boxwood Wall Mat Greenery Wall � 24" x 16"
American Boxwood Greenery Foliage Wall Mat - 18" x 25 1/2"
COMING SOON! Landscape Grass Mat Runner 12" x 31 1/2"
SALE ! Spray, Swirly Metallic Green Glitter, 31"
1 LOT AVAILABLE! CLEARANCE Lime Green Glitter Rope - Double Sided 5 Yards - 75 Pcs! CLEARANCE! Garden Stool "Edgemere" Green & White Geometric Pattern 18" x 15"
CLEARANCE! Garden Stool - Gold Geometric Metallic 19" x 12" - Very High End! 1 LOT AVAILABLE! CLEARANCE Jute Triangle Banner 6x8" - Apple Green - 124 Pcs! 1 LOT AVAILABLE! CLEARANCE Jute Triangle Banner 8x10" - Apple Green - 98 Pcs! 1 LOT AVAILABLE! CLEARANCE Jute Triangle Banner 9.5x12" - Apple Green - 139 Pcs! Drape flowers and strands of leaves over tables with our vine wire frame. Choose decorative string curtains in sage green or celery. 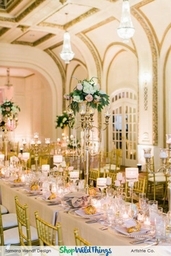 Find table runners and centerpieces in sea green, apple, moss and turquoise. Shop elegant chandelier fountains in lime green and extra-large hanging chandeliers crafted of vintage metal mesh and flowers. Add delicate flourishes with silk rose petals in white and apple green or sage. 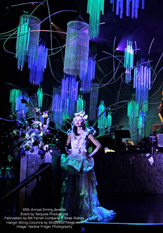 Create a soft green glow with LED light strands or submersible Floralyte brand LED lights. Hundreds of LED lights embedded on leaves decorate our faux willow trees in 6-foot and 8-foot heights.